The EMS Blogosphere goes pink! If you didnt already know, this month is Breast Cancer Awareness month. 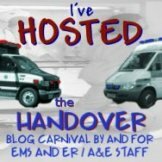 Two fellow bloggers, EpiJunky and The Happy Medic have started a bit of a campaign going to raise awareness and promote a bit of a co-ordinated response for all of us who blog. Im a few days behind unfortunately, but its never to late to do something to raise the profile of anything to battle the fight against cancer. Epi and Happy are asking for everyone to go and have a look at the EMS For a Cure campaign and donate if you feel that it is something that you should be helping with. I dont know many people who havent been touched by breast cancer within there family, I know how hard it was for my family to travel along the treatment journey with my mother in law, watching her really go through some tough times, but fortunately coming out the other side with a good result. More details can be found over at Happys Blog, including a passionate video from Justin. For those of my readers from the UK who would rather donate to a cause in this country, then here is a great place to start. For my fellow bloggers, why dont you go pink for the next two weeks too? « Day One of University – Shock and Awe!